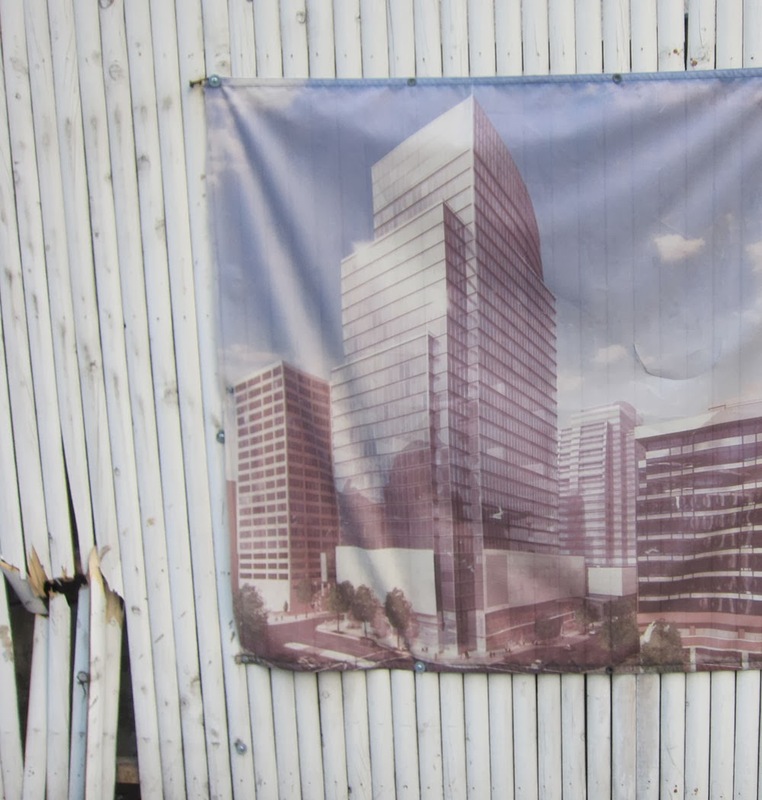 The hard work of realizing Rosslyn's new Central Place is now underway. The magnificent new Central Place building will be built across from the Rosslyn metro station. Central Place will have a publicly accessible observation deck featuring magnificent views of the greater Rosslyn metropolitan region. In first 2 weeks of construction Clark has discovered 5 unidentified utilities directly in conflict with new construction. This past Saturday and Sunday Clark worked to expose an existing water main in conflict with the first structure to be set at the intersection of North Lynn and 19th. The water main in question serves a number of the surrounding buildings including residential. For this reason, the main will be capped next Saturday (3/1), in a coordinated shutdown. Capping a water main in the course of normal construction isn't as exciting as the heroic work capping the gushing Deep Soil Rosslyn Water Spill. But all infrastructure work has to be ready to deal with the unexpected.